My life is chaos at the moment. Every room is filled with boxes in some stage of unpacking. A couple I just need to take out to the curb, but with the two day haul this past weekend and then not getting off work until 7 last night, my energy is in the skivvies. Our new house is absolutely wonderful. My husband and I are both getting separate rooms: his for his sports collectibles, mine for writing. My husband is also kindly painting my writing room for me tomorrow while he’s off work. It currently is a rather obnoxious shade of pink-purple. While I wanted to pick “Dorian Gray” (it’s a real color, I promise! 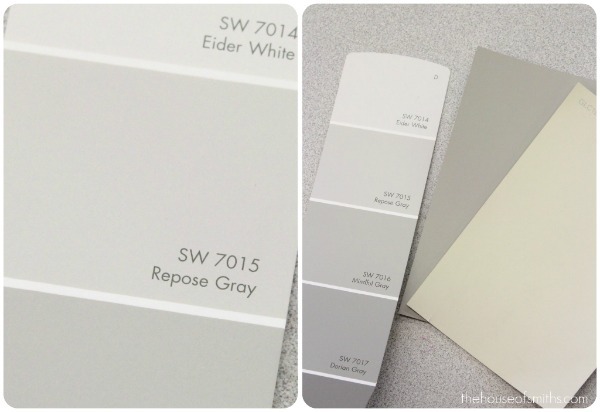 ), I chose “Repose Gray” from Sherwin-Williams, which is a nice light gray. The house already has rooms painted green, blue, red, and khaki, so I wanted something a little different for my SPECIAL WRITING ROOM(!). After being out of touch with the writing life for a little bit, I decided to get back in the swing of things by reading for Fjords. I was reminded again of the importance of cover letters, and the importance of succinct and concise ones at that. Here are some new poems for your consideration. I really enjoyed _________’s and ________’s poems in your last issue. Keep up the good work! Bio: Tara Mae Mulroy is a former Managing Editor of The Pinch and a graduate of the MFA program in Poetry at the University of Memphis. Her work is forthcoming in Third Coast and others. Her blog can be found at taramaemulroy.wordpress.com. I actually started using this template after reading this post up on Gulf Coast‘s blog. What I like about it is that it’s short, shows I’ve read the journal before, and includes a short third-person bio, the names of the poems, and the fact that they are simultaneous submissions (if I’m submitting to a SS journal. If I’m submitting to a non-SS journal, it should not say this and that packet should also not be submitted anywhere else). -Cover letters with no bios. Even if you don’t have any publications or any experience in academia, state something as simple as, “John Doe currently pushes paper at a high-profile corporation. In his free time, he writes poetry. If accepted, this will be his first publication.” Some editors love publishing the work of new writers, so don’t be nervous about stating that. -Cover letters with long explanations of how the author came up with the idea for/edited/bled over the poem(s)/story/essay. Writers love talking about their process, but unfortunately, an editor who has just read forty other submissions is probably not going to want to read yours. Don’t include it; save it for your writing group. -Cover letters that include someone’s entire CV. Unless you’re applying for a job in academia, don’t include your CV. No literary journal editor or reader wants to wade through your 3-4 page CV. Just list your most relevant work/academic experiences and recent/forthcoming publications in a less-than-150-words bio. Endgame. -Cover letters with half-page bios. Again, editors (or at least this one) value brevity. Shoot for 150 words or less. -Cover letters that are addressed to the Managing Editor. Unless you personally know the Managing Editor for a specific journal, don’t address a submission to him/her. Address it to the genre editor. -Cover letters that include profanity, such as saying, “John Doe is a M*****F****** poet from the Bronx.” I know sometimes that’s cool and all that, but you have no idea what sort of editors you are submitting your work too. They might be all prim and prude, and you never want to offend them from the get-go. I also discourage profanity when talking with an editor at ANY point in the writing process, and never, ever, EVER direct profanity at an editor. There is a special level of hell for people who do that; you don’t want to end up there. If you met/know someone who works on the journal, address your cover letter to the genre editor, but mention, “I had the pleasure of meeting so-and-so at_____. Here are some new poems…” As an editor, I like to know when someone I’ve met or know has submitted something to the journal, and I usually take the time to read it. I don’t know how other editors feel about this, but I think it’s cool to think, “Wow, I met this person and talked to them about the journal and here they are submitting!” On the other hand, me taking the time to read it won’t mean its chance of getting published is any higher than any other piece, but it could help start/build a relationship. All of this is to say is that the business of writing is a professional one. In your cover letter and in your writerly interactions (e-mail, etc. ), be kind, polite, and proper. Save your ferocity for your writing. Next postFull-length or chapbook first? Thanks for posting this. I’m always curious about how things look from the other side of the submission pile. That was very helpful.